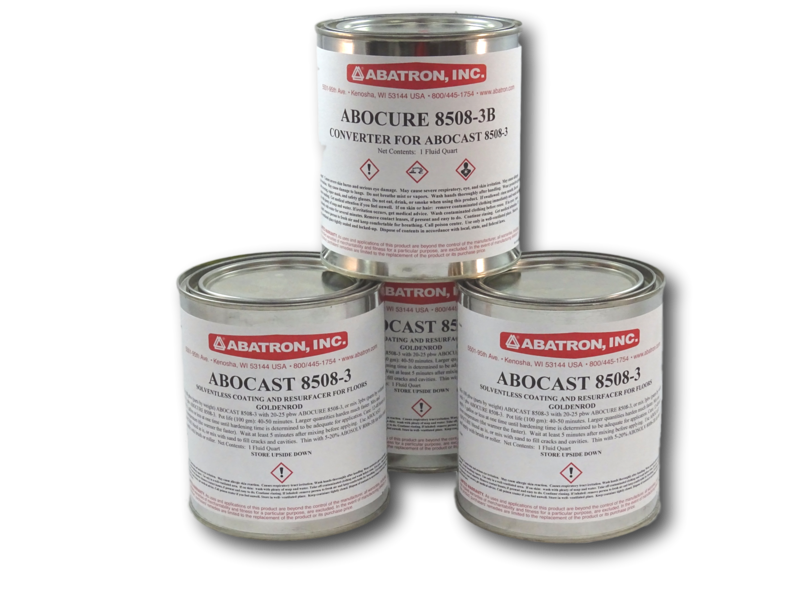 Abocast 8508-3™ | Abatron, Inc.
Offers heavy-duty protection and rebuilding of smooth, spalled, cracked, or pitted floors. Apply to concrete, wood, metal, and composite surfaces. Contains no water or solvents. Ideal for seamless floors in heavy traffic areas. Apply in any thickness. Fill in and level damaged areas with this product on it own or mixed with aggregate. Offers excellent chemical and salt resistance. Prime with PRIMKOTE 8006-1. Q Is the surface paintable? Answered by the admin	Please contact our technical department at 800-445-1754.